One of the most popular film franchises of recent years is finally getting the theatrical treatment. 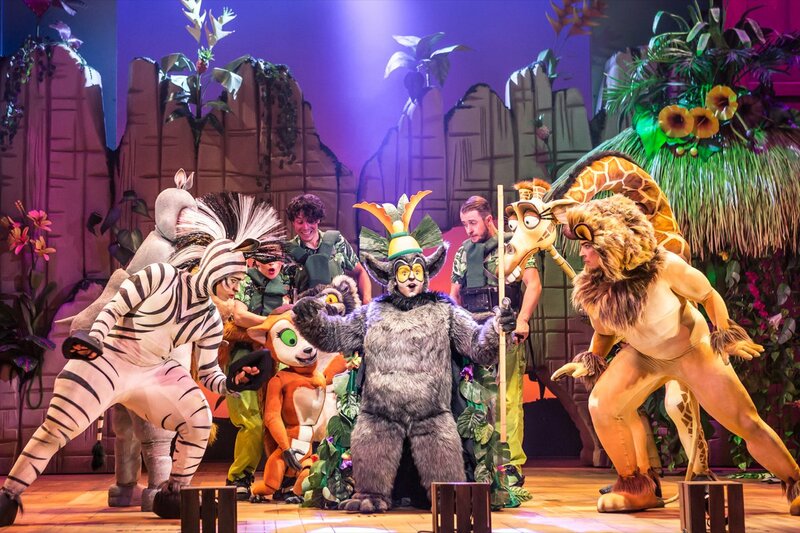 Madagascar the Musical has just opened at the New Wimbledon Theatre and there’s definitely something for the whole family! A group of animals are living the high life in Central Park Zoo in New York – pampered, well-fed and adored by the humans… that is until zebra Marty, dreaming of a free life, decides to roam the city and the friends find themselves shipped off to a new home. But when the Penguins get control of the ship, Madagascar is in sight and a whole new adventure is in store! Tom Rodgers’ design is at the forefront of this new musical adaptation. The costumes and Max Humphries’ puppets are fantastic, impressively crafted for the stage while still nodding to the original characters. The crate design of the set is simple but effective, although I’d love to see what a West End budget could do to it! George Noriega and Joel Someillan’s upbeat music keeps in style with the film, although is a little cheesy rather than cool at times. A few tweaks would make this show perfect – the fossa didn’t feel threatening enough for me and some scenes between songs felt a tad slow, but all of your favourite moments from the film are really put in the spotlight. I Like to Move It Move It is the absolute highlight of the show, totally bringing the house down! 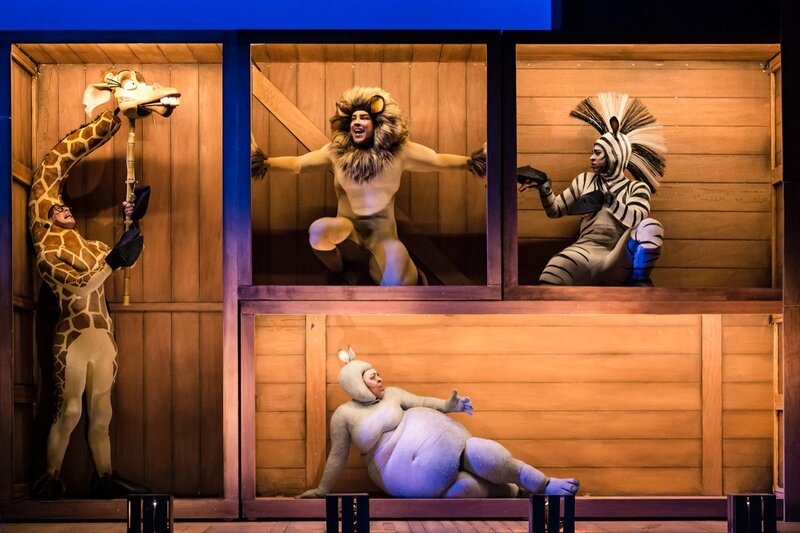 Matt Terry leads the cast as Alex the Lion. The ‘King of New York City’ certainly commands the stage with his voice, though could have been a little more bold in character. He moves brilliantly too, although the real dancing star is Antoine Murray-Straughan as Marty. His animal persona is through the roof and he practically bounces around the stage. Timmika Ramsay (Gloria) delivers some hilarious one-liners along with Jamie Lee-Morgan as the health-conscious Melman. 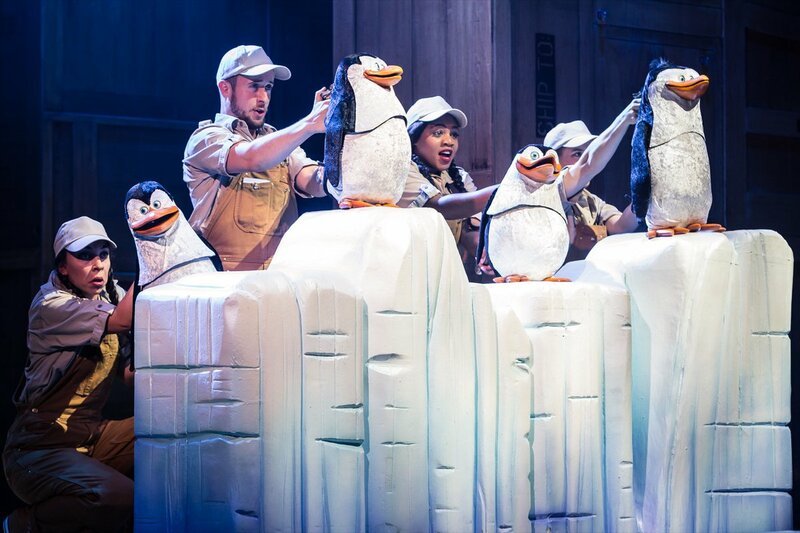 The rest of the cast is small but perfectly formed – easily taking on a host of different characters, mainly the famous penguins, with Jo Parsons giving a spectacular performance as King Julien in act two. This is truly a treat for all ages – the bright costumes and funny animals keep the kids entertained while the witty script gives the adults the laughs along the way. If you love the film then go and reminisce, and if you haven’t seen it then take the family along for two hours of fun and laughter. 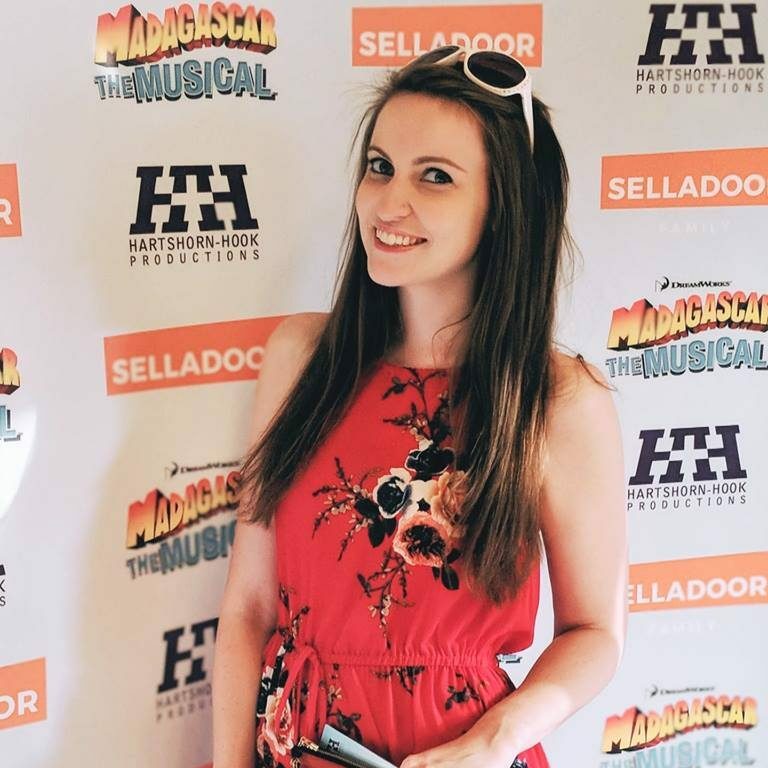 You can catch Madagascar the Musical at the New Wimbledon Theatre until Saturday 28 July before it commences its UK tour. You can buy tickets for Wimbledon here or check further tour dates here.